Security PS Blog: OAuth Is Not Meant For Authentication! OAuth Is Not Meant For Authentication! As we work with software development teams to help them apply security principles and practices to their applications, we commonly identify misunderstandings or gaps in the team's understanding regarding security features, APIs, or frameworks they are using. It's important to identify and correct these misunderstandings as early on as possible. When such security elements are misused, systemic security flaws are produced in the application that are difficult to resolve without significant reworking of the code or architecture. One such example is the use of OAuth. As useful as OAuth is, it must be used for its intended purpose. If we try to make it do things it wasn't designed or intended to do, we get into trouble. Let's clarify the fundamental purpose and use of OAuth and in doing so, clear up a common misunderstanding with it. OAuth is not meant for authentication. OAuth is for authorization. For "Authorization Code" and "Implicit" grants the specification doesn't govern the submission of a username or password. It's something totally outside of the scope of OAuth. 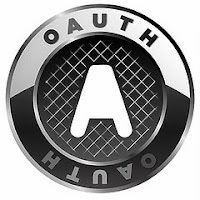 This is a great warning flag that OAuth is not intended to be used directly for authentication. An example client could be a third-party API, that a user has granted an "offline" token. That third-party API may make requests without a user interacting with it. "The resource owner password credentials (i.e., username and password) can be used directly as an authorization grant to obtain an access token. The credentials should only be used when there is a high degree of trust between the resource owner and the client (e.g., the client is part of the device operating system or a highly privileged application), and when other authorization grant types are not available (such as an authorization code)." You submit a username and password and you get back and access token. The access token can then be used to call an API. Sounds ok, right? Let's add some complexities. First, OAuth is often used in combination with a stateless REST service. There's no session on the server-side. There's just the access token sent by the client, which is often a base 64 encoded set of claims with a signature (like a JWT). With that in mind, what if you need to do multi-factor authentication? What about security questions? What if there are several different ways a user can log in? How do you integrate all those options with the OAuth Resource Owner Password Credentials grant? One common approach is to make it an API call and have a mobile or web application force you to complete it. But, if the application is stateless and you already have an access token why not just call any other API method directly with that token and ignore the secondary authentication step. It's trivial to bypass in a client-side application (mobile, thick-client, web page). So, that means attackers can bypass that multi-factor system that helps meet compliance and regulatory requirements. Ok, how about if it's made as part of the login process? Well, that's not really OAuth any more. You have to add fields, add steps, and/or go through more process before issuing an access token. Are you going to write your own custom OAuth client library and server to do it? You might as well write a normal forms based authentication process instead? OAuth IS NOT FOR AUTHENTICATION! This issue seems to come up in assessments more and more often lately. I keep seeing software development teams download a copy of Thinktecture's IdentityServer (a great open source product by the way), and then implement it just for their application using the resource owner password credentials. Then, they later bolt on security questions, finger print scanners, multi-factor authentication, and "remember me" features. As a result, their stateless application has easily bypassable authentication controls that are very time consuming to fix (or they have to compromise on having the API be stateless). Dominick Baier - Web API Authorization & Access Control – done right!